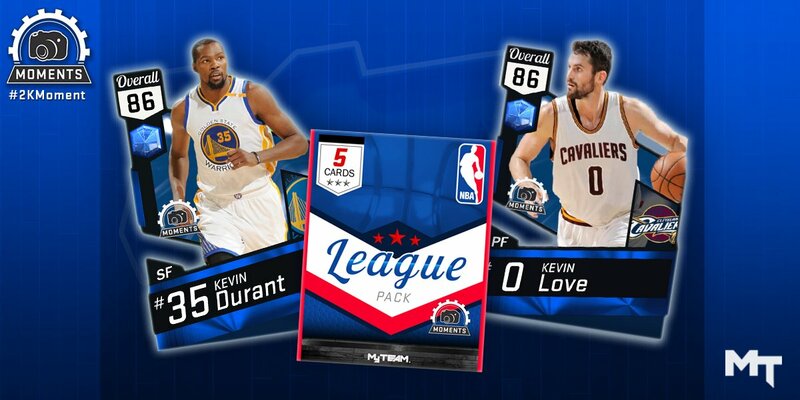 As plenty of NBA 2K17 MyTeam moments cards have been revealed, gamers are selecting the best player cards to build their team and win the game. 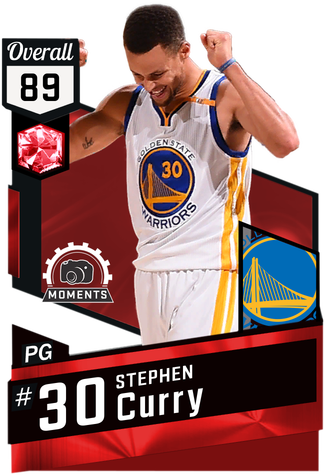 This article is mainly the top 10 best moments cards you should get in MyTeam. No defense, but plenty of knives and daggers in tow. Emerald Moments C.J. 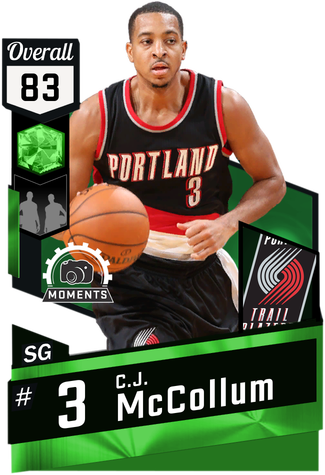 McCollum is the bucket machine, and his lopsided 88 overall offense (the highest I think I’ve seen for an emerald card) tends to pay off more than it doesn’t in formats like Blacktop. Key Attributes: Open Shot Three (94), Shot IQ (88). If you need to score in the paints and punish a clumsy shot-blocker with solid post moves, get you some Sapphire DeMarcus Cousins, who pairs scoring with reasonable rim protection and more than serviceable rebounding against all but the most lengthy and athletic glass cleaners. Note: he will be called for 5,000 fouls, so have a backup plan. Scored 34 points in the first quarter of Cleveland's Thanksgiving Eve (is that a thing?) matchup against the Trail Blazers—a night he stroked eight of 12 threes for a total of 40 points. It was a silly scoring game for Love, and voila—a silly-good scoring Moments card with plenty of rebounding is your prize. Key Attributes: Open Shot Three (90), Contested Shot Three (87), Open Shot Mid-Range (84). Hot off the presses and not yet part of my stable, but Ruby Moments Damian Lillard is the latest and greatest iteration of Dame Dolla so far. 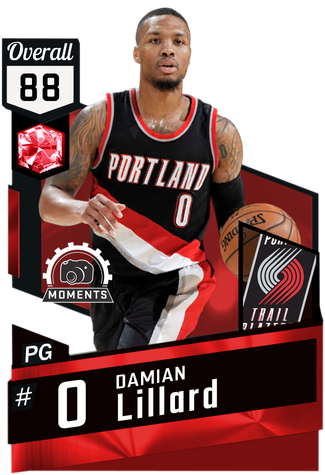 If Lillard keeps up his big nights, we’ll be looking down the barrel of a diamond card before year’s end. Key Attributes: Shot IQ (98), Open Shot Three (89), Draw Foul (86). LaVine’s second Moments card of the season, and definitely his best. Emerald Zach LaVine continues what is quickly becoming a foolishly underrated line of Blacktop-streamlined weapons. 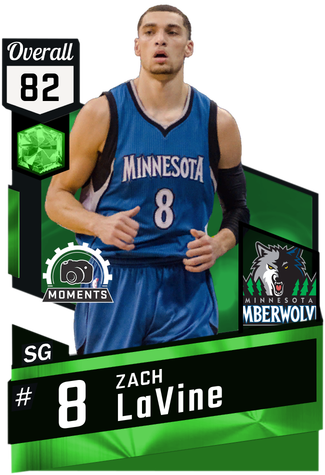 Like the KAT emerald, Zach LaVine’s Moments cards plays way above its rating and can find a home in any starting lineup thanks to his knock-down three-point shooting and athleticism—just don’t expect him to lock people down Klay Thompson-style. Key Attributes: Vertical (97), Open Shot Three (87), Contested Shot Three (83). We were all waiting for it, and finally got our wish: Steph raining down 46 points on the Pels on Nov. 7 and getting the juiced Moments card we needed. Ruby Steph is sapphire Steph on offensive steroids, which means better shooting and the same, sloppy perimeter defense you know and do not love. For me, that steep defensive decline puts a bit of a damper on the offensive titan that is Ruby Curry. It should be noted I've been running Sapphire and Ruby Moments Westbrook at point, who can’t shoot from deep to save his life but is hyper mobile. So it could be just the drastic change in style bothering me. That being said, at the very least, Ruby Steph is a must-have card to keep in the can for Blacktop purposes. Once you juice him up to 99 open three with the right shoes...well, good night. Key Attributes: Off-Dribble Shot Three (95), Contested Shot Three (95), Contested Shot Mid-Range (82). The three-point spitting monster that was given life after Durant’s first game against OKC as a Warrior. You might remember that Durant—the one who blocked and drained everything against his former team, overwhelming an equally pissed off but out-manned Russell Westbrook in what looks like will be the one-sided rivalry we all feared it would be. But yeah, Sapphire KD—get it, enjoy it, love it, tuck it to sleep at night. I have him coming off the bench and dominating second line small forwards who can’t keep up or close out. Key Attributes: Contested Shot Three (86), Off-Dribble Shot Three (85), Pick and Roll Defensive IQ (74). 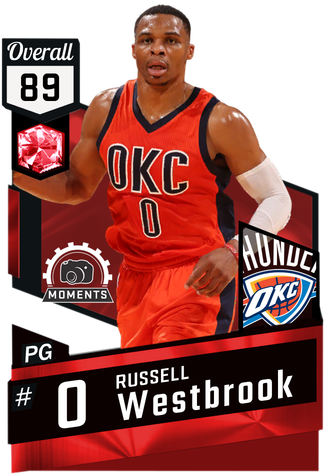 Honestly, I can't remember which game this Westbrook Moments card is based on anymore, because the man has had so many triple doubles already it could be any of them. Suffice it to say, however, I've enjoyed Ruby Westbrook a lot despite his inability to hit anything from deep. He’s just fun to control, and a solid upgrade from his also-fun Sapphire Moments card. Simply put him in and direct him at the basket. You (usually) won’t be disappointed, and he’ll probably out-rebound your bigs. Key Attributes: Draw Foul (90), Contested Shot Mid-Range (82), Defensive Rebound (82). Finally, the Ruby LeBron cometh. It feels like all I've wanted since 2K17’s debut has been a better LeBron James. The sea of Sapphire starter ‘Brons becoming a sad sight in Auction, but that ended on Wednesday as the King heaped 31 points, 10 rebounds and 13 assists on the Trail Blazers. 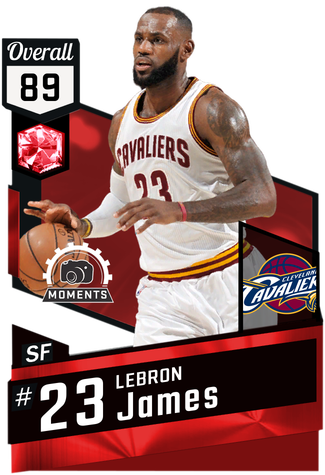 I currently don't have Ruby Moments LeBron in my starting rotation, because he's brand new and running +100K MT right now, but he’s first on my list of pickups. Any LeBron that can shoot a halfway reliable three-ball while retaining all of his physical dominance is more than worth having on your team. Key Attributes: Contested Shot Three (74), Passing Vision (92), Driving Dunk 85. The first ruby Moments card and, the best Moments card to date. 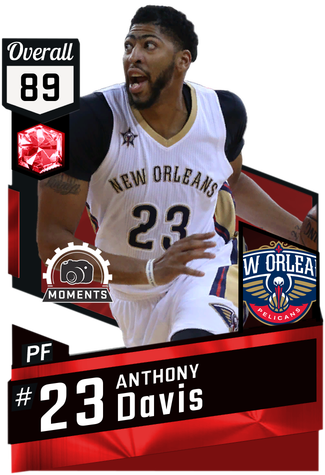 Ruby Moments Anthony Davis is our collective gift for AD scoring 45 points and grabbing 17 rebounds against the Warriors in late October. Davis was also the first player to have two Moments cards (I think), thanks to him entering the season in all-out goliath form. 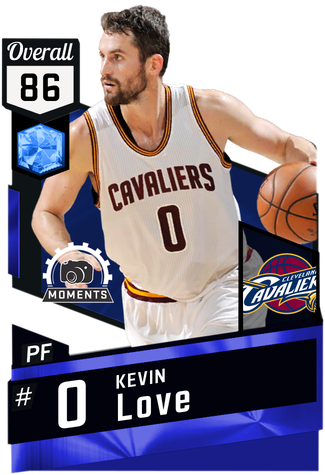 Going by 2K’s increasing tier form, Davis is my favorite to reach a diamond-level card first out of all current NBA players. 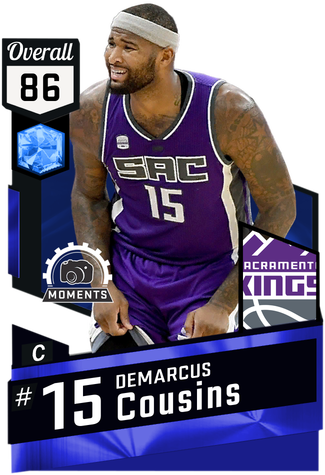 That card, of course, will be unstoppable, as the Ruby level Davis is already a rebounding, shot-blocking and scoring machine, who can outshoot his D rating from deep if you have a decent feel for release. Cherish your ruby Davis. He is a glory to behold. Key Attributes: Offensive Rebound (80), Defensive Rebound (91), Open Shot Three (74). 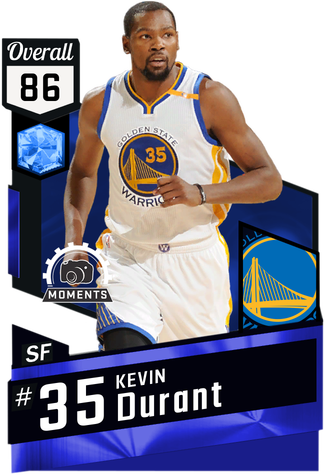 How do you think about these moments cards? If you have other opinions, follow our Facebook and Twitter page and tell us your view of this topic.